Welcome to Paradise!!! Recently appraised for $440,000, selling below value. A lifestyle you can enjoy in your custom LAKE FRONT POOL HOME with spa and fireplace included. What more could you ask for? This home has been recently remodeled with new upgrades throughout, including A/C unit, hot water heater, tile flooring, kitchen, bathrooms, freshly painted, ceiling fans and much more. Home offers spacious vaulted ceilings, large laundry room, plant shelves and niches throughout. Open floor plan with fireplace for all to see and enjoy. Kitchen is equipped with new stainless steel appliances, granite counter tops, dinette area and breakfast bar that extends into the living room. Pocket sliders in the living room lead to the covered lanai, pool and heated spa area. 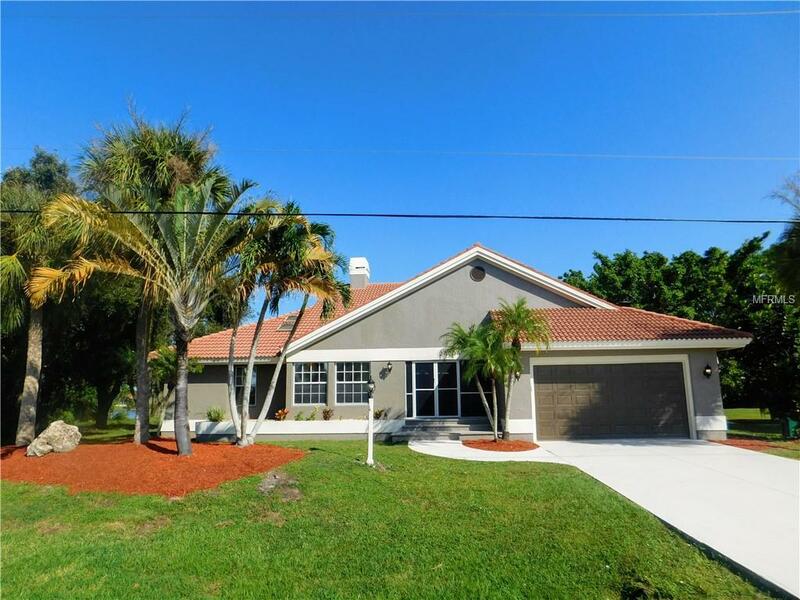 Spacious lanai with outside shower, 1/2 bath and plenty of room for a summer kitchen. Huge master bedroom suite with laminate wood flooring and french doors that open to the pool area. Master bath has double vanities, dual shower heads and decorative wall tile. Newly and mature landscape and curbing throughout.